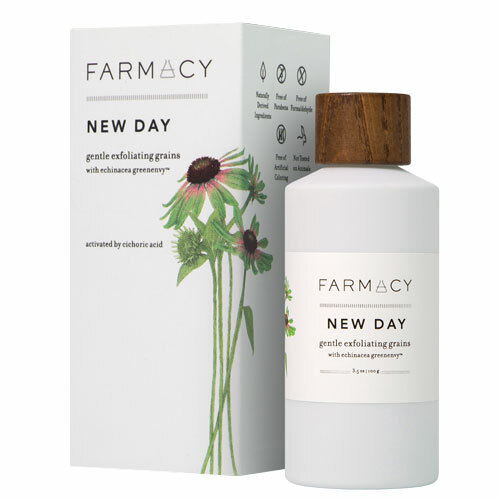 Today we are talking about exfoliating the dead skin cells off our skin by using the Farmacy New Day Gentle Exfoliating Grains. Exfoliating is a key component to my beauty regimen and is essential for all that want to have glowing smooth skin. A potent, all-inclusive skincare treatment with innovative grains that transform into a gentle, foaming exfoliating cream with the addition of water. 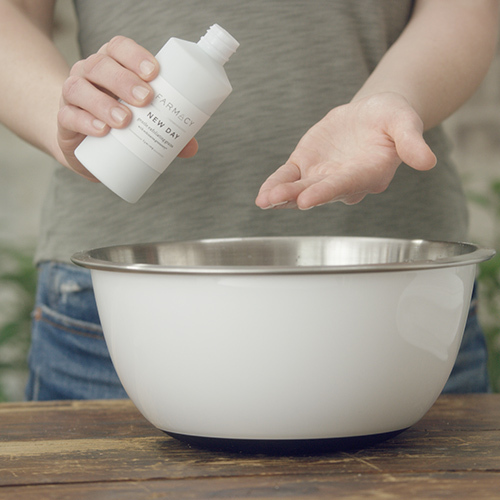 This gentle cleanser contains unique grains to cleanse, exfoliate, and clarify in one step for fresh, clear skin. Natural cranberry seeds provide a deep clean to lift away surface debris and promote skin clarity, while rice bran powder loosens dry skin cells and absorbs excess oils and surface impurities. A complex of white willow bark, carrot, green tea, and marshmallow soothe, protect, and calm the skin. The formula also contains Farmacy’s Echinacea GreenEnvy™, a unique, patent-protected variant of echinacea purpurea that contains the highest known concentration of cichoric acid, which helps protect the skin by supporting natural collagen. This product is formulated with naturally derived ingredients. It is also free of formaldehyde and artificial coloring and is not tested on animals. -Pour a quarter-size amount of grains into palm and blend with a few drops of water. 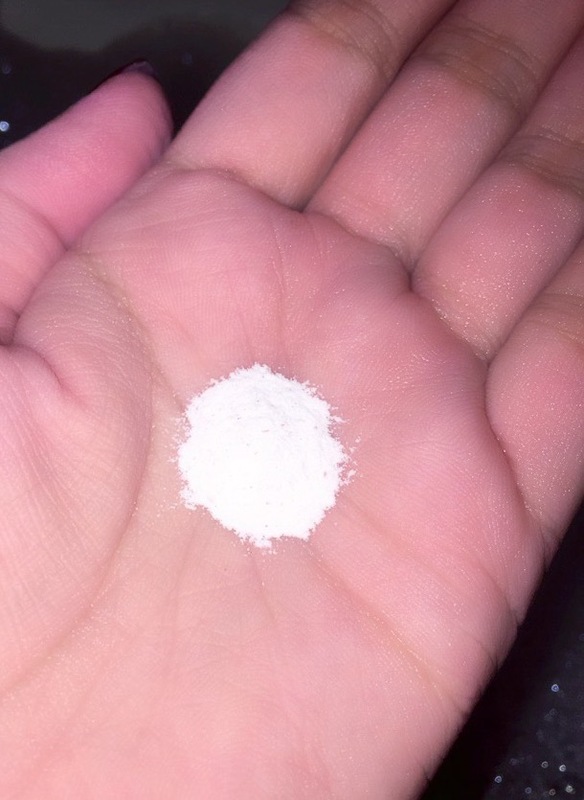 -Mix until a smooth, foaming paste forms. -Massage onto skin with gentle circular sweeping motions. -Rinse with tepid water and pat dry. The bottle is small and comes very beautifully packaged. I really like the wood cap on the bottle. It gives it an earthy feel, which I like! This exfoliator left my skin feeling so nice without being irritating. It's truly an adjustable exfoliation as well. The more water you add to the paste, the more gentle the product will become. You can use it either morning or night. I like to use it at night and follow with a good serum and night moisturizer. There isn't much of a smell. When you wash it off you feel very clean but there is a softness that it leaves so you will not feel dried out. My skin looked brighter and softer after my first use. 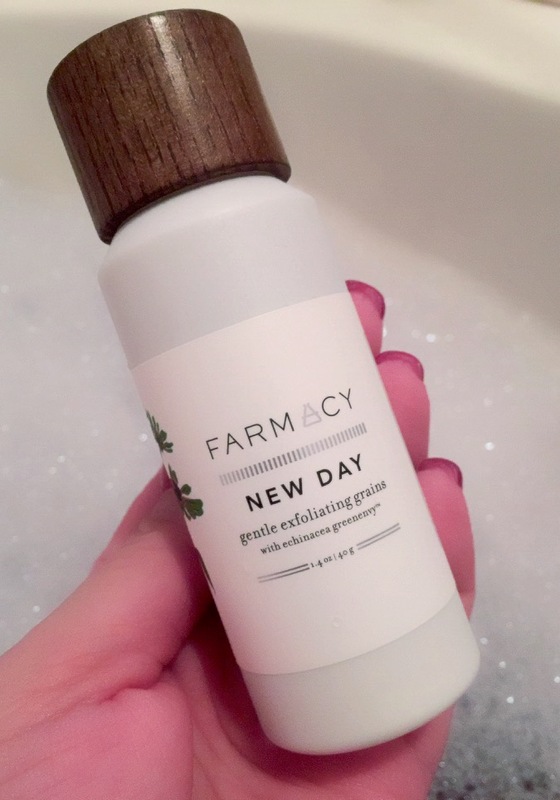 I'm very pleased with the Farmacy New Day Gentle Exfoliating Grains and highly recommend you give it a try in you're looking for a gentle exfoliator! This product was received complimentary from Farmacy and BrandBacker. All opinions are 100% my own. This post may contain affiliate/referral links.